Bizeo – KPI Monitoring Software Bizeo's blog publishes articles discussing how our KPI monitoring software can benefit your business. 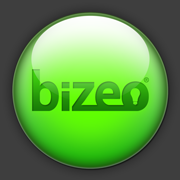 Bizeo is quite simply the best business monitoring system that’s ever been invented! Why? Because it breaks all the rules of monitoring systems. not an iPod…but it goes everywhere and is just as beautiful to use. With Bizeo, you’ll never be in the dark about what’s really happening in your business – even if you’re on a beach somewhere! Bizeo monitors all your business KPIs in real time on any mobile device through one simple, intuitive interface – a green dot. With one glance, you’ll know how your business is operating – green if everything is fine and red if it’s not. And any business owner, department manager or staff member can benefit from Bizeo. It can track everything from the performance of servers and websites to the efficiency of individual staff members. You’ll sleep better knowing that every aspect of your business is covered!